Fully furnished 1-bedroom (sleeps 4) apartment located on an alpaca farm with panoramic views of the rolling pastures and mountains. 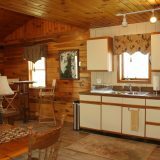 1.3 miles from I-81, Exit 205, $125 plus tax. 2 night minimum. No pets, please.